A guide to keeping your team alive on the battlefield. 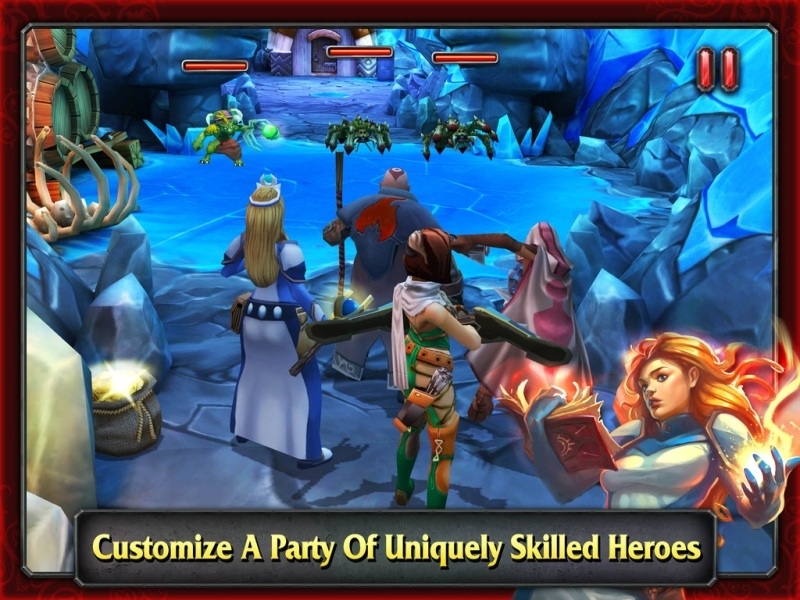 Android and iOS gamers alike can now get stuck into Glu's new strategic team-based battler Heroes of Destiny. It'll take quick fingers and fast reflexes to stay alive on the battlefield though, so we've put together a complete guide to success on the battlefield. - You won't last long without your healer, so keep her alive at all costs. Use your tank warrior to pick up any incoming threats as soon as possible, and don't be afraid to shift healing to the healer temporarily - to do this, draw a line in a small circle that comes back to her, and activate the tank's shield. - For most of the time, you'll want to keep your healer's attention focused on your tank, but there will be times when you need to switch targets. Certain enemies will take a shining to your ranged attackers, so be prepared to switch temporarily at a moment's notice. - Clever use of your special abilities is essential if you're to emerge victorious from your toughest fights. If you're happy dealing with the current trash wave, don't waste special attacks needlessly - you may need them in the next round, and you don't want them to be on a cooldown. - The early moments of a fight matter the most. If you can see enemies are about to approach from your healer's location, move her out of danger, and move the tank into position to start soaking up the damage nice and quickly. - Sometimes the best offense is a good defense, and when it comes to applying new skills to your characters, don't forget to boost their ability to get out of danger. For the healer in particular, it's well worth investing in the passive movement speed increase - many of the enemies move slowly, and the faster she can get out of danger, the better for your whole team. - Some of the creatures in the game having healing capabilities themselves, so it's incredibly important to switch targets if you see your current victim's health going up rather than down! Look out for visual effects that indicate spellcasting, and take out the appropriate enemy as a priority for a much quicker - and safer - fight. - Don't worry too much about only having three party members in the early days. By the time your party reaches level 15, you'll have more than enough silver to unlock the fourth fighter - and you'll be experienced enough to handle the extra teamwork. Don't rush to add a premium party member, as it's simply not necessary in the early days. 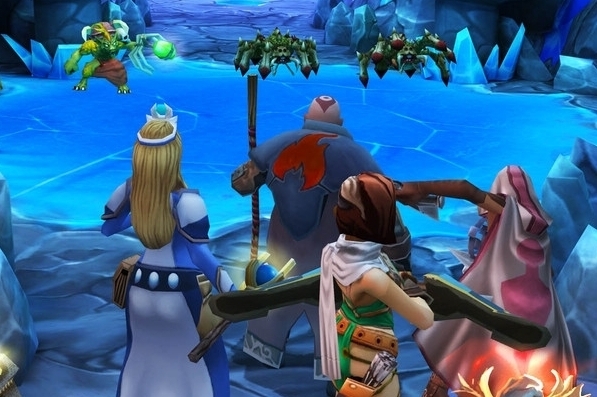 - You should be upgrading your gear constantly while playing Heroes of Destiny. Even the starter gear is worth investing a little money into, as it really doesn't cost much and can make the difference between victory and defeat. Try to keep each party member's gear leveled up to a similar degree - if the tank has bad equipment, it doesn't matter how good your healing or ranged DPS gear is. - When your party runs between fighting section, make sure you grab every last pot of gold that you can. You'll need the cash for vital equipment upgrades, and you'll also need the special materials that are often found in these sections. - Positioning is key in the game. Between each wave of enemies, we recommend placing your tank character in the middle of the screen so that he can pick up enemies from any direction, while your ranged team should be top and bottom of the screen. This is just a general rule, however, and you should be ready to change team positioning at any moment. - Tempting though it is to simply throw everything you've got at the bosses in the game, you will also want to take out any of the trash enemies that spawn during these fights. Individually, they may not do a great deal of damage, but cumulatively they can wipe out your party. Get your tank to grab these enemies' attention, and dedicate one ranged fighter to destroying them, while the rest remain focused on the boss.